Re-Shanking Your Rings; What, Why and When? Whether it’s a pinched finger with a little blood, because of a crack on the bottom of your ring, or a big chunk just broke away, it’s never good when your ring cracks. Like a weak link in a chain, the most vulnerable part of your ring is its shank. 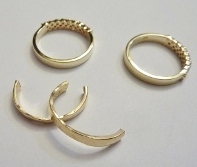 Re-Shanking is a fantastic way to extend the life of your beloved rings. What is a Too-Thin Shank? Some rings are too thin in the shank, the part that goes around your finger from middle to the bottom. The problem with thin and narrow shanks is they break, they bend, and they crack more easily and rapidly than thicker ones. 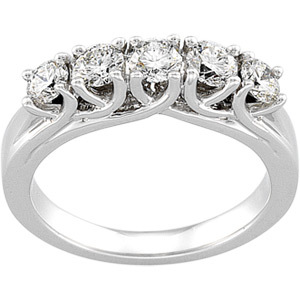 The crown portion, or top part of your ring with the design and gemstones, needs the support of a strong shank. 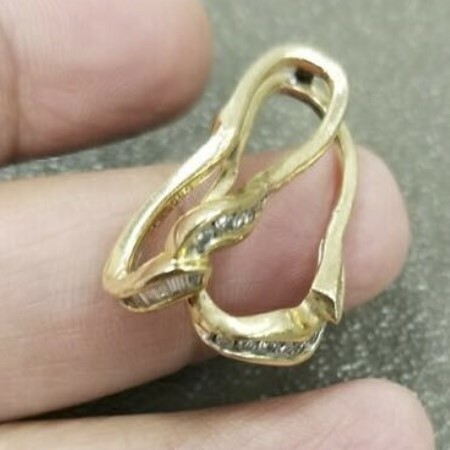 This tri-color gold ring (pictured), was allowed to get so thin, because there were no gemstones on top to fall out. The owner of this ring just kept getting it re shaped as round. That’s what I call a band-aid repair. It fixes it, sort of. Until like her ring, an entire chunk falls off. A ring will just go out of shape on you again, fairly quickly. And crack at any time. A Too Thin Shank Drops Diamonds. Sharon had a prong set style ring made for her inherited antique diamonds. Not by me. Unfortunately she’d been losing one diamond a year for about three years. She was especially upset because they were sentimental antique diamonds and the new modern-cut ones the Jeweler set to replace the lost ones made her older ones look dull. A happy client of mine introduced us, saying I was her “fix anything jeweler.” I’ll cop to that! Sharon showed me her noticeably thin shanked ring. I pointed out that it allowed the upper part of the ring to bend, and the settings to open up a bit under stress. 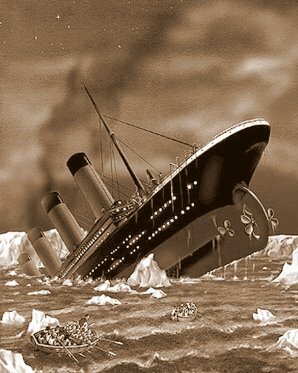 This would explain the dropped diamonds. I could see that two of her prongs had been re-built, but the real problem remained. I said we needed to support the prongs with a wider and thicker shank. We needed to do a re-shank job. Thicker shanks are stronger and provide better support for the crown – the top part – of the ring. Thicker shanks don’t bend like thin ones. They hold the shape of the ring, like the foundation holds the parts of a building together. Is it Worth Re-Shanking Your Thin Ring? A Re-Shanked Thin Ring is Supported and Protected by Re-Shanking. Netta asked me if it was worth re-shanking and sizing the baby signet ring as a parting gift to her college bound daughter. It was very thin and had been Netta’s mother’s baby signet ring. Looking at it I concurred that is was indeed thin but that thickening the shank would also help the thinner top part hold its shape. It’s questions like these that make me glad I became a jeweler. It may not make economic sense to re-shank this signet ring. But there’s a whole other value to this ring. It’s three generations old! It stands for the continuity of her family. When her daughter wears it, she’ll know she is loved by her family. When you are far from home it’s nice to be reminded of the love and support you have, even at a great distance. Even though this ring is thin, because there are no set gemstones, it has a chance to last longer. I say yes, size, re-shank and give it to her daughter. Re-Shanking rings is a relatively straightforward process. The old thin shank is cut away with a saw and a new, thicker and wider section is custom made and soldered into its place. Take out the old. Put in the new! This is such a satisfying repair job to do. It makes such a difference to the ring and adds to it longer life. 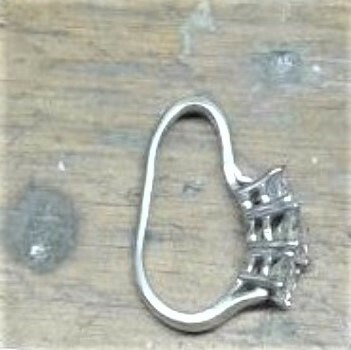 Her Rebuilt Ring With Strong Prongs and a Strong Shank to Support the Top. We re-shanked Sharon’s antique diamond prong-set ring three years ago. We also replaced the new modern blingy diamonds with older Antique diamonds to match her original ones. She’s worn it daily and all the diamonds are still in their settings! This was a much less expensive solution than she had anticipated. She was referred to me because she had been planning to make a new diamond ring to replace her diamond-dropping ring. 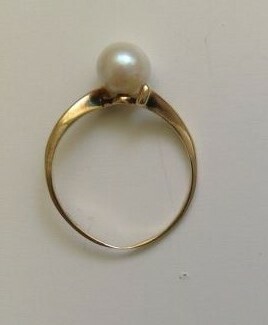 A thinner shank weakens your ring and opens the door to cracking and weakness developing throughout your ring. Don’t wait till a gemstone falls out, or your ring bends like a pretzel. Look at it; think about your lifestyle, if you’re active you may need a thicker shank than your Grandmother. No maybes about it! If your ring shank is too thin, get it fixed before it gets you into trouble. Getting pinched by your cracked ring or trapped in your bent-out-of-shape ring is no laughing matter. How Much Does Re-Shanking Cost? Each ring is different, but if I’m looking at an average, I’d say you can spend between $150.00 and $400.00 on a new shank for your ring. This would include the engraving and design being duplicated. Your re-shanked ring should look like very nice and not like it had work done on it. 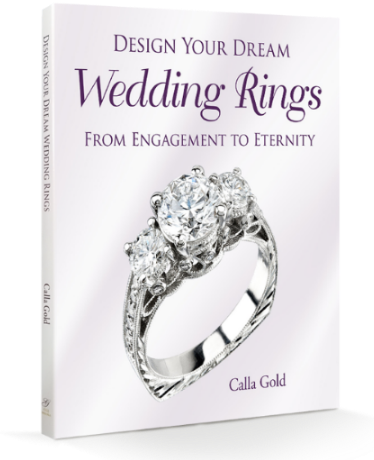 In some older rings there may be a detectable change in metal color if you look closely. Many a cracked, bent, broken and sawed-off ring have I saved, with re-shanking. It remains one of my favorite repair jobs to this day. Do you have a candidate for re-shanking gathering dust in your jewelry box? Something we lay people never think of! A shank? I was wondering when you might have gone to prison! Seems like the shank is such a simple fix to what could be serious problems! Nice work! How thick should the shank be in your opinion? Should 3 mm in thickness (I dont mean width of the band of the shank but I mean if you were to look at it from the side and determine that thickness) on a 14k gold ring be sufficient enough to hold a genuine ruby on top of a mans square set ring? Thanks so much for this blog post on ring re-shanking. 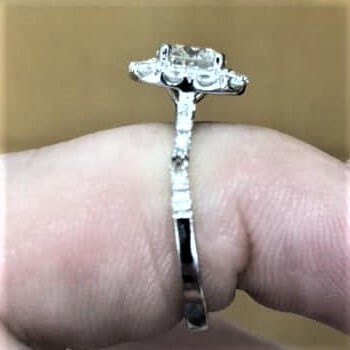 I wonder if you give me an idea of what I could/should expect to pay to have a sterling silver ring (with diamonds) re-shanked (wider shank on bottom of ring)? Can you re-size a re-shanked ring? Hi, I have my Grandmother’s old wedding ring. I want to use this as a shank for my other ring. both rings are 14 carrot white gold. Can this be done. I bought the original ring at Beldon Jeweler’s and brought it to them. She said that they “might” be able to do this repair, but she didn’t think so because the quality of my Grandmother’s ring might be too porous. Please let me know what you think. Hi, I have a gent’s 9ct onyx signet ring, which has been caught at the top where the onyx is set and has cracked and has also worn very thin. The ring is inexpensive but sentimental. I am wondering whether the stone can either be reset or if the ring is thin all over it can still be re-shanked and hold the onyx safely? 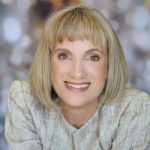 Does re-shanking a ring devalue the price of the ring at the resale level? I have an antique ring that needs re-shanked, how much would it cost?? It is white gold multi diamond ring that I gave to my daughter, and she wore it till the band split. All of the diamonds are still in tact.